He is preceded in death along with his parents by a sister – Maria. Genaro is survived by his wife – Raquel of Bangor, children – Citlali “Cicy”, Roxana, and Marcos Alcaraz, siblings - Pilar, Guadalupe, Margarito, Wilfredo, Leopoldo, Trinidad, Magdalena, Jose D Jesus, Cleotilde, Elfega, Maria Del Pilar and Nicolas Alcaraz, Jr.
Visitation will be held from 2:00 PM to 4:00 PM and 6:00 PM to 8:00 PM on Friday, December 7, 2018 at the Filbrandt Family Funeral Home in South Haven. Funeral mass will be held at 1:00 PM on Saturday, December 8, 2018 at St. Basil Catholic Church with Father Fabio Garzon officiating. 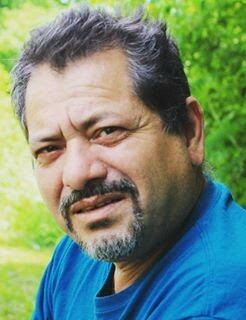 Genaro will be laid to rest at Monk Cemetery in Geneva Township.